Relocation is hard, and packing is one of it’s most tedious tasks. It can be very overwhelming, stressful and time-consuming. At the end of the day, you won’t be sure are your belongings packed in the safest way that will protect from damages during the move. Luckily, Four Winds Saudi Arabia Limited has a perfect solution that will transform the nightmare of packing to the nicest dream. As one of the best packaging companies in Saudi Arabia, we provide our customers with extensive packing services for all types of relocation. For our packers with years of experience and countless successfully moving projects behind them, nothing is impossible to pack. Hiring Four Winds packing services will decrease your stress level immensely, so you can enjoy your relocation instead being overwhelmed by it. Why should you choose Four Winds Saudi Arabia Limited from all others packaging companies in Saudi Arabia? Four Winds Saudi Arabia Limited is now one of the best packaging companies in Saudi Arabia, specialized for all kinds of relocations. We can proudly say that we are most trusted and reliable Moving and Logistics Company in Saudi Arabia. Reviews of our satisfied customers and our spotless reputation are the proof of that statement. Also, the fact that we are the members of reputable international organizations and accreditations such as IATA, FIATA, IAM, and FIDI, speaks volume of the quality of the services that we provide. We respect our customers and every agreement that we have with them. We are at the very top of the moving industry form 1979. and after all those years we feel comfortable to say that we can execute each type of relocation to perfection. What separates us from the other packaging companies in Jeddah is the fact that we provide a whole spectrum of moving and logistics services Saudi Arabia necessary for a successful move. Not many packaging companies in Saudi Arabia offer such a variety, which makes our company stand out. Movers with years of experience that are professional, approachable, friendly. Packers that can pack any type of items on the quickest and safest manner. A selection of premier moving and logistics services, including packing services. Catering to your needs, since customer satisfaction is our main goal. Moving industry is very competitive, and there are some fraudulent companies that will use a lot of tricks to scam their customers. 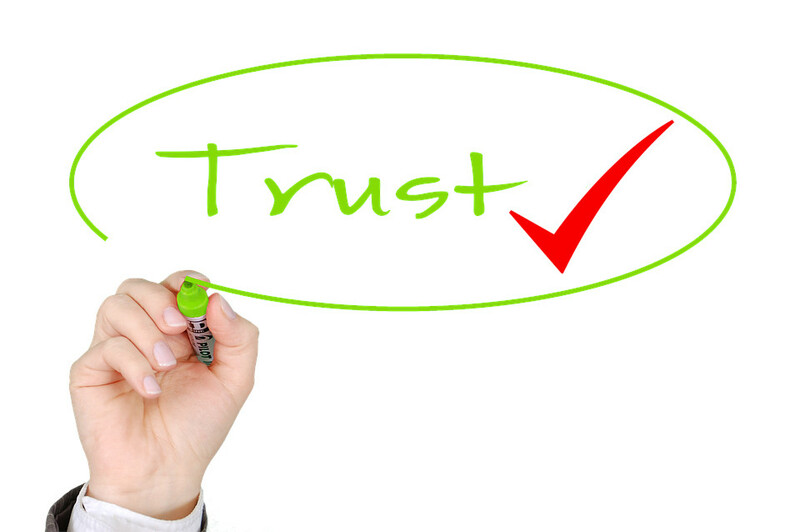 That ‘s why is crucial to recognize a legitimate moving company that you can put your trust in. You can have absolute confidence in Four Winds Saudi Arabia Limited. We will never risk our spotless reputation by trying to scam our customers. Customer satisfaction is our main priority, and we always try to fulfill your every need. If there are some bumps in the road of your relocation, we’ll make sure to handle it with grace. Any obstacles or problems that may emerge, we will resolve in a way that doesn’t disturb you. Since we collaborate with other local businesses, we can even recommend you the best option for storing your belongings. Our logistic support will help you to choose between different types of storage units and find the right one that suits your needs. The most important thing is that you can trust your movers. That is why the reviews of our customers are so amazing – because we actually do an amazing job. For almost 40 years, thousands of people put their trust in us, and we’ve never failed it. And we’re not going to start now. So, you can be sure that by choosing Four Winds Saudi Arabia Limited, you are choosing the most reliable moving company in all country, and wider. Why do you need our professional packing services? You won’t have to buy packing supplies. As one of the top packaging companies in Jeddah, Four Winds uses only use high-quality the packing material that is included in the packing service. When you are packing on your own, that task can stretch for weeks. With professional packers, it will be over in the blink of an eye. Professional packers know how to pack each item in the right way. It is very important to properly pack your belongings so they won’t suffer any damages during transportation. You may don’t have that knowledge, but professional packers do. When you have valuable items to move, it is a wise decision to let experts pack and relocate them. It will make your relocation much less stressful. Instead of stressing out the best strategy to pack your belongings, you can relax while others do this tedious task. Household goods are unique and contain a variety of items in various shapes and sizes: furniture, clothes, white goods, and fragile stuff etc. And they are all exposed to a plethora of risks when moving. Naturally, the same packing method is not applicable for all. That is why we devise a customized packing methodology, taking into consideration the intrinsic properties of each unique item. Packing is a protective measure. Using plenty of packing materials does not translate to better protection. It is a craft. Utilizing the suitable packing materials in the exact amount and the precise method, guarantee the protection of your things and satisfy your moving experience. Four Winds is periodically reviewing this process as a part of our continuous quality improvement program. We update our well trained in-house packers of the latest developments in and around the shipping industry. Our packing services ensure all the safety and precautionary measures to keep your items safe until they reach your next destination. Among our personal belongings are high-value fragile items which are exposed to higher risks of damage. Such items need additional care and protection to withstand the normal rigors of cargo handling. From origin to final destination where normal carton packing is not enough. Wooden crates are utilized by packing companies in Saudi Arabia and around the world to ensure the safe transport of such items. Four Winds is able to maintain a team of skilled carpenters. And well-equipped carpentry shops in all our branches that allow us to fabricate any type of crate. We strictly adhere to IPPC guidelines and standards on all our wood packaging materials to ensure not only protection of your precious goods but also and most importantly, acceptance into the country of destination. The point of packing isn’t just to throw your things into boxes and move them to your new home. It is to make sure that your belongings arrive at your new home safely and without any damages. Still, the proper packing doesn’t mean only keeping your belongings safe, but you as well. It is easy to get hurt while moving and packing. Moving injuries are not a joke, and you shouldn’t take them lightly. Four Winds Saudi Arabia Limited knows how much proper packing is crucial for a successful move. We are ready to literally take this burden off your shoulders. If you purchase our packing services, we will make sure that no harm comes to you or your belongings during the relocation. Choose wisely and choose one of the best packaging companies in Jeddah – Four Winds Saudi Arabia Limited.